272 pages | 3 B/W Illus. This book discusses the significance, relevance, and usefulness of professional ethics in the context of higher education. It highlights the pivotal role of professional ethics in offering teachers a better understanding of their responsibilities, duties, rights, and institutional obligations as they work to provide quality education. 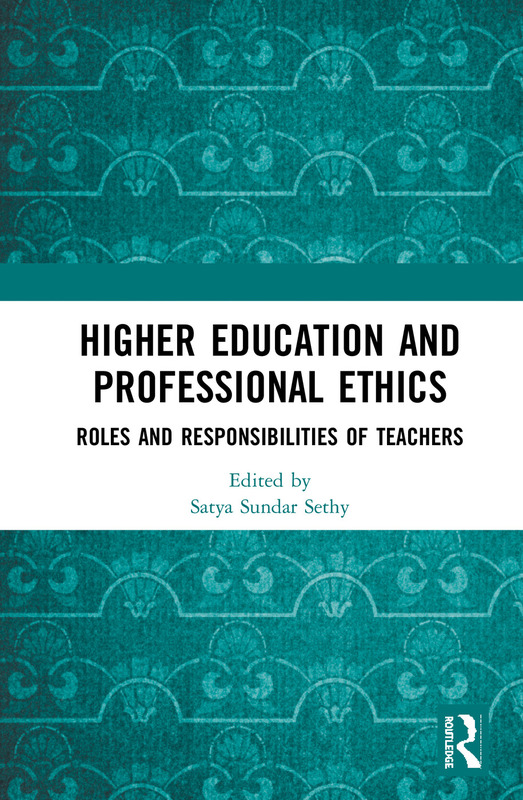 The volume investigates the connection between the adoption of professional ethics by individual faculty members in higher education and the development of work cultures in higher educational institutions. It explores the requisite modifications of the Teachers’ Code of Ethics in relation to the usage of Information and Communication Technologies (ICTs) in teaching–learning platforms. While examining the validity, reliability, and application of professional ethics in the higher education sector, the book also illustrates the application of codes of ethics to resolve conflicting interests and commitments. This book will be useful to scholars and researchers in higher education, the philosophy of education, applied ethics, public policy, and the social sciences. Satya Sundar Sethy is Associate Professor of Philosophy at the Department of Humanities and Social Sciences, Indian Institute of Technology Madras, Chennai, India. He has served at Indira Gandhi National Open University (IGNOU) as Assistant Professor in the Staff Training and Research Institute of Distance Education (STRIDE), New Delhi. He is the recipient of the prestigious Young Philosopher Award 2017, conferred by the Indian Council of Philosophical Research, Ministry of Human Resource Development, Government of India. He has published several papers in journals and contributed chapters to edited books. His publications include the books Meaning and Language (2016) and Contemporary Ethical Issues in Engineering (edited, 2015). His current research interests are philosophy of language; analytic philosophy; professional ethics, especially related to engineering and higher education; Indian philosophy; Nyaya and Aristotelean logic; and Information and Communication Technologies in education.